It’s that time of year again! A time when we celebrate our graduates! 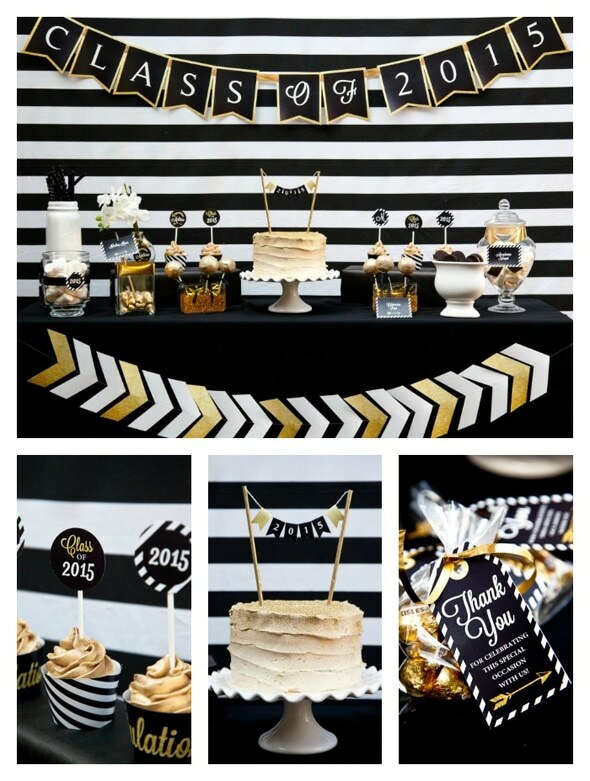 You can’t go wrong with this sophisticated Black and Gold Graduation Party from SunshineParties. 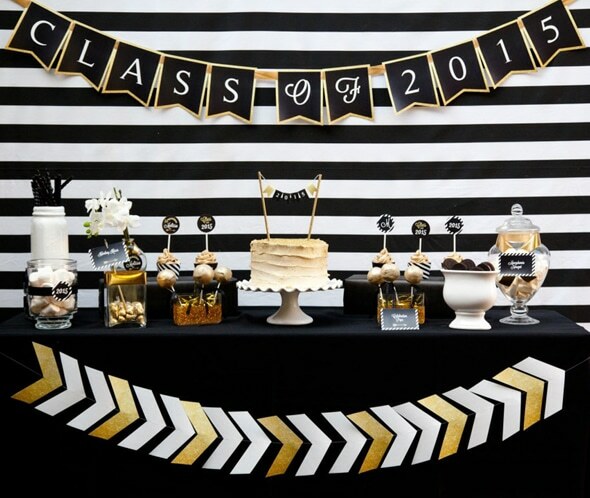 It’s perfect for a high school or college graduate with its elegant yet fun party vibe! All of the pretty black and gold glitter printables are from SunshineParties and available in their Etsy shop. The dessert table included a gold ombre glitter cake that was absolutely gorgeous! It was topped with 2015 cake bunting. Other sweets included cupcakes, nougat, liquorice, cupcakes, Hershey Kisses, cake pops, Oreo’s and marshmallows. Yum! 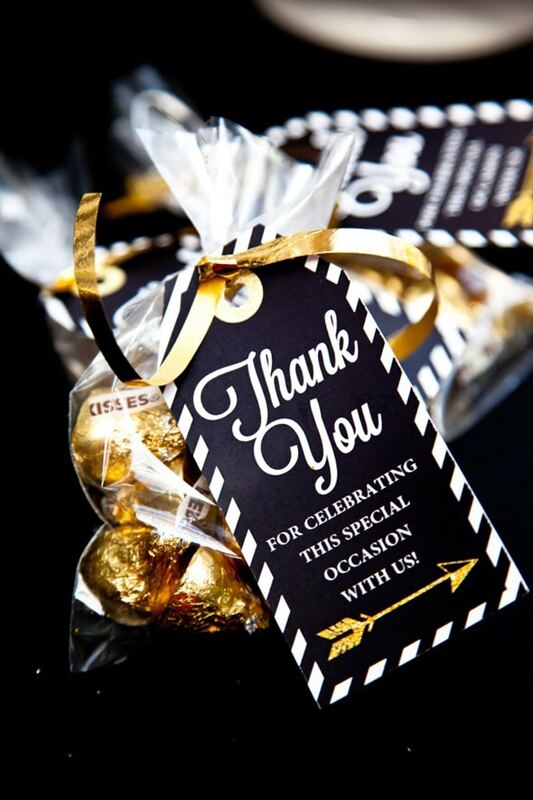 Gold Hershey Kisses wrapped and adorned with a personalized message on pretty printables for a sweet take-home. This is such a lovely set up for any graduate! 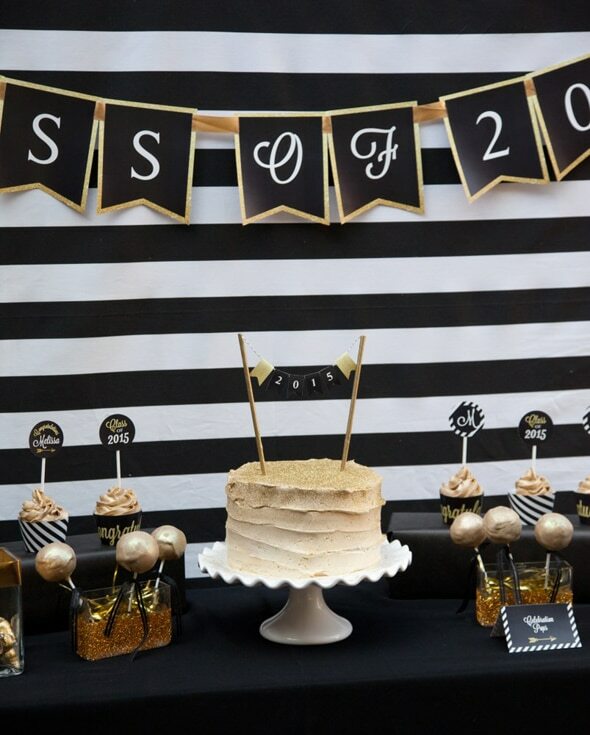 Style a gorgeous graduation party like this one with some of these party pretties! I love how special this looks. Graduates should feel special for accomplishing something amazing. Love the color theme, so festive and classy. Sooo cute! Can you share how you did the back drop or where it’s from!? Where did you get the black and white stripe backdrop?